Cocktail attire is the middle ground in styling where I steer clear of being too fancy or too casual and add in an ounce of fun. 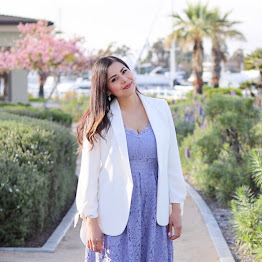 In today's outfit post, that ounce is 1. the bright blue color (this dress from Znu.com also comes in white and black, but I was determined to get something that pops), 2. a glitter clutch (because what's funner than glitter?! ok, maybe champagne, but c'mon glitter is pretty up there on the list) and 3. These "Muah" lip earrings from Burlap2Cashmere (if the word FUN was a pair of earrings, these would totally be it). I rest my case. Hope you enjoy today's outfit! lovin' royal blue today too ;) you look gorg! xO! 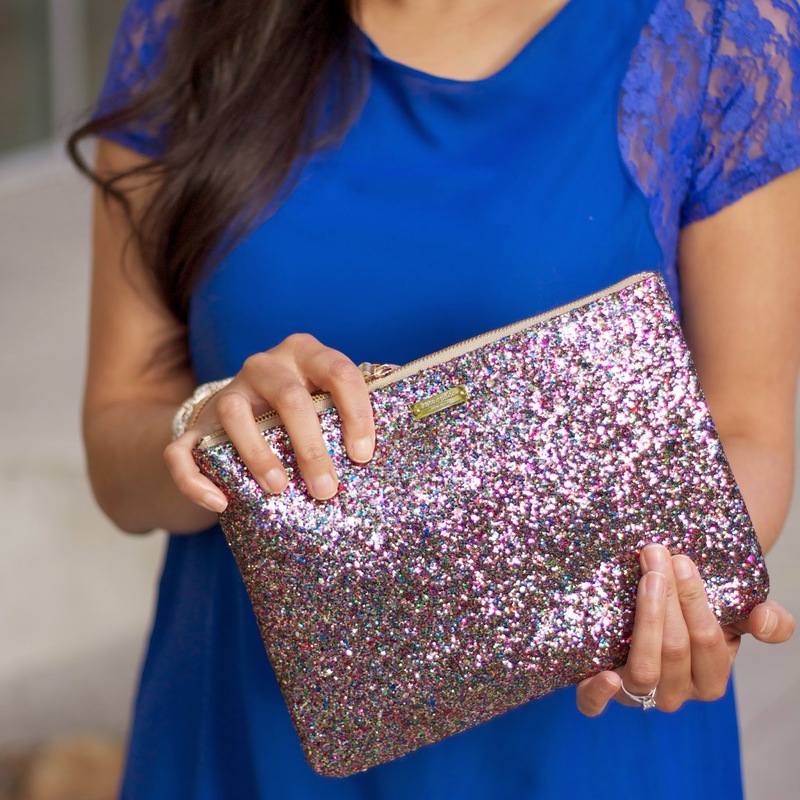 The blue dress is gorgeous and that clutch!! The more sparkle, the better! You look beautiful. This is great for a date look. Love those heels and bag. They make a great match for your lovely dress. You look so pretty. The colorful bag and shiny shoes really make this outfit so fun and whimsical.